Today, Warner Bros revealed the first gameplay trailer for LEGO Star Wars: The Force Awakens. In addition to reliving signature scenes from the movie, new adventures (or "Story Levels") will also be available to play, which focus on events preceding the movie. Concerning gameplay, this newest LEGO game will feature ship combat (both arena-based and dogfights) and blaster battles. Players will also be able to build different LEGO structures to solve problems in different ways. This is the improved "Multi-Builds" system. 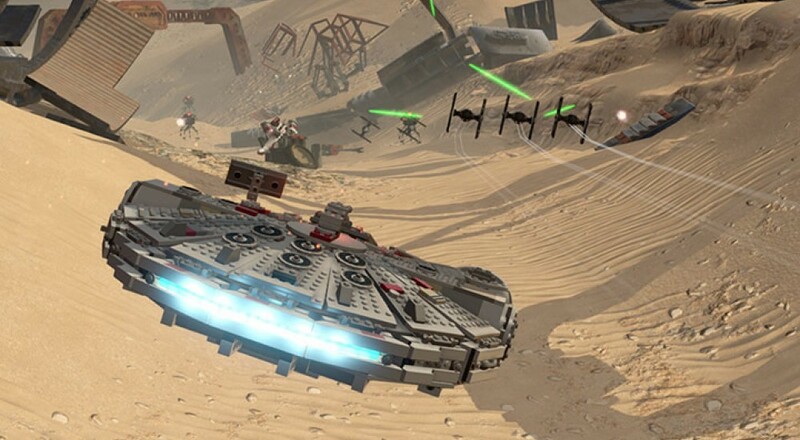 LEGO Star Wars: The Force Awakens is due out on June 28th, 2016. It will support 2-player local co-op and will be available on PS3, PS4, Xbox 360, Xbox One, PC, PS Vita, and Nintendo DS. Page created in 0.7203 seconds.